The beach is privately owned but open to the public during the summer months and a short walk from the campground or any of the cottages. 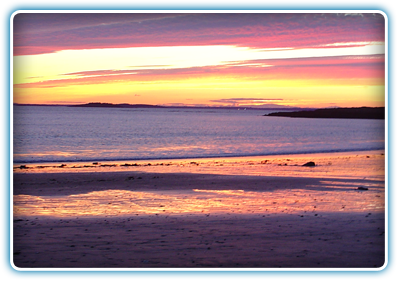 At 325+ yards, Head Beach is one of the best kept secrets in the state of Maine. Protected by ledges on either side, the current is generally mild with small waves. Beach hours are 9 am to 5 pm, and there is a parking fee for non-registered guests. There are no vehicles or ATV’s allowed on the beach or sand dunes at any time. Access from the parking lot is a short walk over the dunes. Pets are not allowed on the beach. There are restrooms on the parking side of the dunes.